The Kiev IIIa is a true Contax III copy and the second Kiev model equipped with a light meter. It was made by Arsenal factory in Kiev in the mid to late 50's. Kiev-3a is identical to the original Kiev III - it still features a stabilizing foot on the bottom plate and a tall, Contax III type light meter. The specifications are the same as Contax III's. Lens: coated Jupiter-8, f = 5 cm, 1:2, coated, a copy of Zeiss Sonnar. 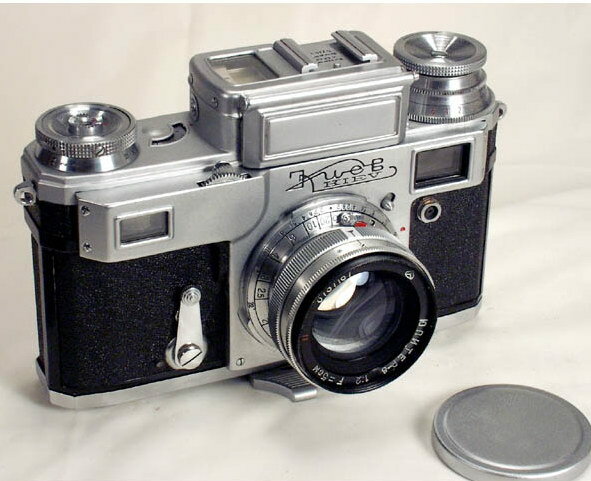 The camera was made in 1957 by Arsenal plant in Kiev. 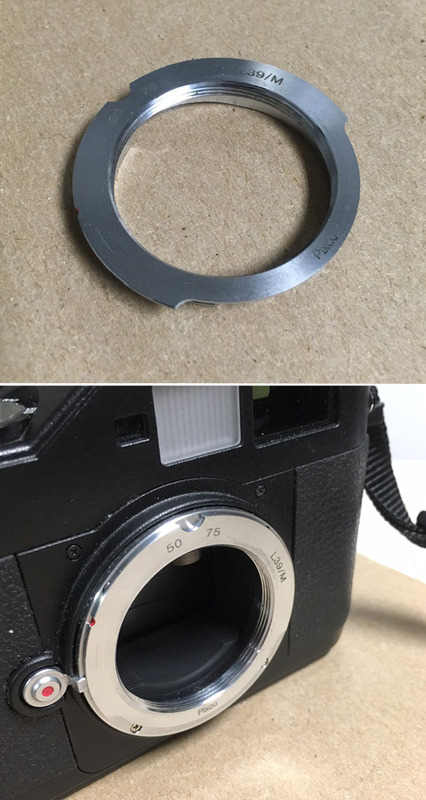 The camera is in good+/exc.- condition, shows its age but clean and attractive. The leather covering is complete, no brassing on the chrome parts. The rangefinder/viewfinder is clear. The lens is also clean. The meter is WORKING! (Most of the older Kievs have dead meters). Its accuracy can not be guaranteed, but if needed, it can always be corrected with the film speed dial. The shutter and self-timer are wo rking properly. The Kiev IIIa is much less common than its successors - Kiev-4 and 4m. It is a good user and a desirable collectible camera. As well as any Soviet Contax copy, the Kiev IIIa is a rugged and precision rangefinder equipped with a great lens. It is capable of taking advantage of the modern films, and is simply a great fun to use.